Everyone had their favourite slider and I’m sold on the TriBeCa Selection (full of saucy burgers) but apparently the ostrich vibe is a winner too (West Village Selection). But I am getting distracted, the main reason you want to visit Hudson’s is for their happy hour specials. From 4:30 – 6:30 weekdays, they have all their beers on tap and cocktails on special. 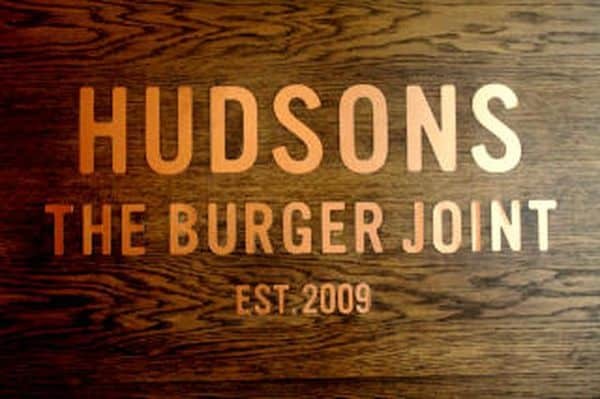 Hudson’s have made sure that you’re not drinking on an empty stomach… Thoughtful right?? All their tapas (or starters) are half price too. They’re a decent size so you get a bowl of chicken strips for around R15 (so amazing and plenty of chicken) which is definitely my favourite. But the ribs, chilli poppers (especially the bacon-wrapped ones) and crumbed mushrooms all hold their own. The waitresses are always really friendly and kind, they have a very visibly available manager who comes past to check on things and it’s a place to go relax after work with a good vibe. We go there at least once a week and have tried the Green Point and Claremont (by Cavendish where Greens used to be) branches. The town branch appears to be at least as good judging by the number of people that I’ve seen packed in there. Get all the best Cape Town Winter Specials in one place.